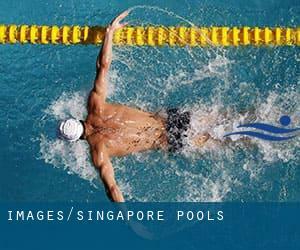 Before trying any pool, make sure you know the rules and regulations for Singapore Pools as they may not be exactly the same as inside your residence town. We recommend you contact the pool directly to ask if you ever will require a hat, and what style of footwear or certain clothing you will need. Do you realize of any Pools in Singapore that really should be listed here? Contact us!. The best option during your visit to Singapore will be droping by a Singapore Swimming Pool. Thanks to some new pools submitted by swimmers like you, Swimia.com is increasing in the every day quantity of stored pools. Please don't hesitate to get in touch with us if you obtain any Singapore Swimming Pool with inaccurate or incomplete knowledge. The perfect Singapore Pools are situated primarily in large cities, but it's also uncomplicated to find public pools in rural locations. Please use the contact information supplied at every pool profile to check if they are offering aquagym lessons, given that is not so common to determine an Aquagym in Singapore. One with the advantages of outdoor swimming in Singapore is the possibility to sunbathe during the summer season. Taking it with additional care, sunbathing is healthy because introduces Vitamin D into the body, so the best choice seems to be switching between indoor and outdoor pools depending on the season. Let us tell you a secret to switch off while you are in Singapore: just choose a Swimming Pool in Singapore and plunge into the water! There's no alot more useful system. Updated on 2019 30 Stevens Road , Central - Bukit Timah , Singapore (Postal Code: 257840). Swimmers like you reported 33 meters, 6 lanes, Outdoors. Unfortunately we do not have the e-mail address of this Pool, but we can provide you with the phone number. Updated on 2019 21 Jurong East Street 31 , West - Jurong , Singapore (Postal Code: 609517). Among all the activities supplied by the centre, if you're keen on swimming you will enjoy Olympic size, 8 lanes, Outdoors. Just in case you need to get in touch with this Swimming Pool prior to dropping by, we only know the phone number. 7 Raffles Avenue , Central - Marina Bay , Singapore (Postal Code: 039799). Among all the activities provided by the centre, if you are thinking about swimming you will enjoy 20 meters, approximately 6 lanes wide, Outdoors. Just in case you would like to make contact with this Pool before dropping by, we only know the phone number. 100 Tyrwhitt Road #01-03 , Central - Jalan Besar , Singapore (Postal Code: 207542). Few days ago a regular user of this centre told us they offer Olympic size, 8 lanes, Outdoors. Furthermore, they keep in good conditions 25 meters, 8 lanes, Outdoors. For this Swimming Pool, only phone number is number here. 505 Tampines Ave. 5 , East - Tampines , Singapore (Postal Code: 529652). Swimmers like you reported Olympic size x 21 meters, 8 lanes, Outdoors. Phone number and e-mail address are number for this Swimming Pool. 1771 Ang Mo Kio Avenue 1 , Northeast - Ang Mo Kio , Singapore (Postal Code: 569978). Swimmers like you reported Olympic size x 21 meters, 8 lanes, Outdoors. Unfortunately we do not have the email address of this Swimming Pool, but we can give you the phone number. 111 Wilkinson Road , East - Katong , Singapore (Postal Code: 436752). Swimmers like you have reported Olympic size x 21 meters, 8 lanes, Outdoors. Also, you will find Olympic size teaching pool, Outdoors. Just in case you would like to make contact with this Pool before dropping by, we only know the phone number. 202 Ang Mo Kio Avenue 9 , Northeast - Yio Chu Kang , Singapore (Postal Code: 569771). Among all of the activities offered by the centre, when you are interested in swimming you can enjoy Olympic size x 21 meters, 8 lanes, Outdoors. Just in case you want to get in touch with this Swimming Pool before dropping by, we only know the phone number. 21 Evans Road , Central - Bukit Timah , Singapore (Postal Code: 259366). Swimmers like you reported Olympic size x 21 meters, 8 lanes, Outdoors. Unfortunately we do not have the email address of this Pool, but we can give you the phone number. 35-A Yio Chu Kang Road , Northeast - Serangoon , Singapore (Postal Code: 545552). Among all of the activities offered by the centre, when you are interested in swimming you might take pleasure in Olympic size x 21 meters, 8 lanes, Outdoors. Just in case you need to get in touch with this Swimming Pool before dropping by, we only know the phone number. 57 Anchorvale Road , Northeast - Sengkang , Singapore (Postal Code: 544964). Swimmers like you reported Olympic size x 21 meters, 8 lanes, Outdoors. Unfortunately we do not have the email address of this Pool, but we can give you the phone number. 21 Geyland Bahru Lane , East - Geylang , Singapore (Postal Code: 339627). This great and large sports centre lets professional swimmers like you enjoy Olympic size x 21 meters, 8 lanes, Outdoors. Additionally, within these facilities you can try Olympic size teaching pool, Outdoors. Unfortunately we do not have the email address of this Swimming Pool, but we can provide you with the phone number. 901 New Upper Changi Road , East - Bedok , Singapore (Postal Code: 467355). Among all of the activities offered by the centre, if you are interested in swimming you can enjoy Olympic size x 21 meters, 8 lanes, Outdoors. Just in case you want to contact this Swimming Pool prior to dropping by, we only know the phone number. 5 Raffles Avenue , Central - Marina Bay , Singapore (Postal Code: 039797). This sports centre offers 25 meters, Outdoors. Contact facts for this Pool just like phone number and e-mail address are number. Updated on 2019 190 Orchard Boulevard , Central - Orchard Road , Singapore (Postal Code: 248646). Swimmers like you reported 20 meters, 3.9 feet depth, Outdoors. Unfortunately we do not have the e-mail address of this Swimming Pool, but we can give you the phone number.